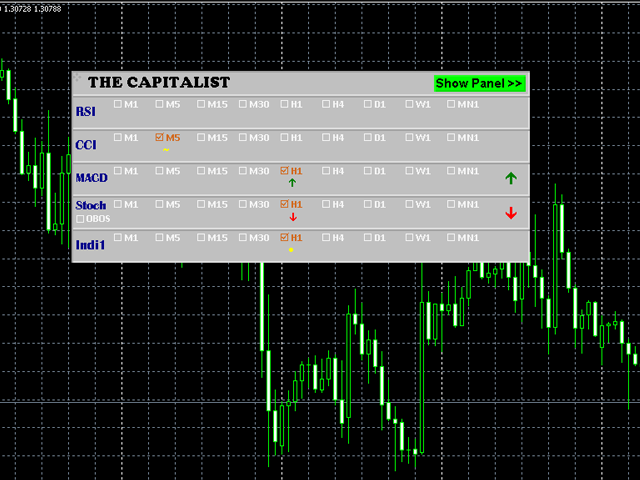 The Capitalist helps you easily customize a signal generation based on RSI, CCI, MACD, Stochastic, and another indicator you can define by yourself. 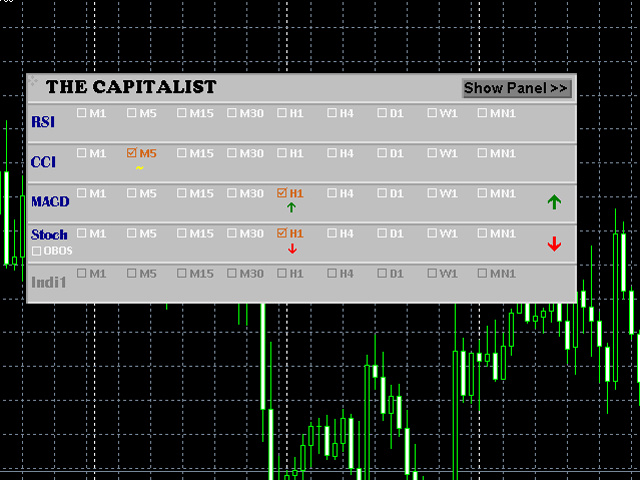 Simply select the time frame and which indicators you want to include for signal generation. 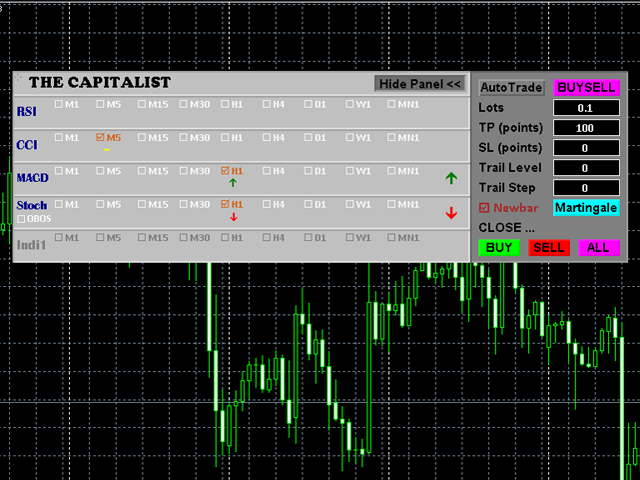 You may set the auto trading based on the signals with 3 trading mode options: Buy only, Sell only or Buy and Sell. 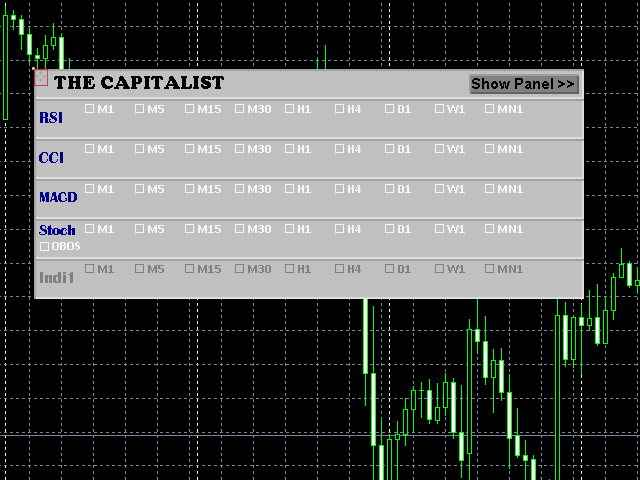 When the auto trading disabled, The Capitalist will acts like an indicator and alerts the signal when alerts setting enabled. 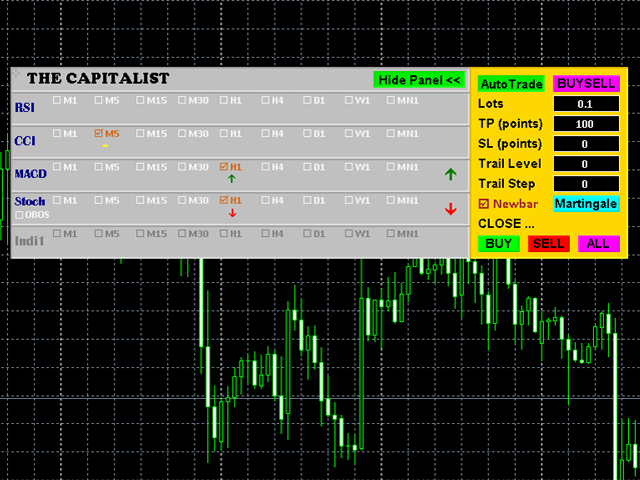 Before you start the auto trade, set the volume (lots), take profit, stop loss, trail level, and trail step. 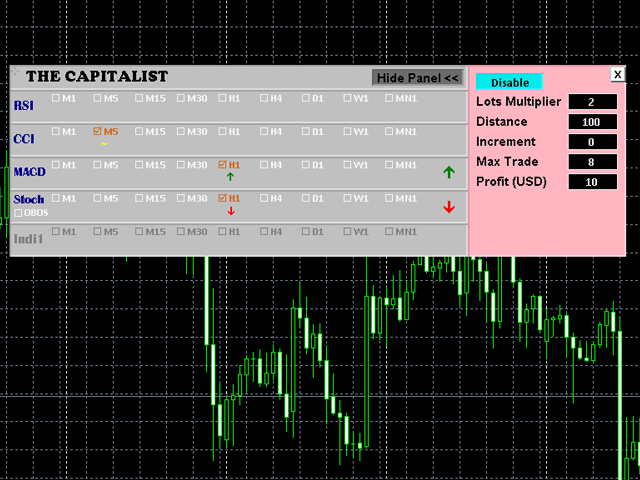 There is an optional feature you can use or not: Martingale. And 3 buttons to close Buy, Sell or All orders will help you easily close orders when needed.